“Sell to their needs–not from yours.”–Earl G. Graves Sr., Founder and Publisher of Black Enterprise Magazine. Among the countless pieces of business, networking and leadership wisdom I’ve been privileged to receive at the feet of the iconic visionary of our company, this remains among my favorites. Its premise is simple: Leaders accomplish things through and with other people. Key to their effectiveness is their ability to align what they want with the needs and goals of others, whether employees, prospective clients or, let’s just say, a national magazine editor. Great salespeople, negotiators, persuaders and leaders–i.e. entrepreneurs–know that everything starts not with their own goals, but with gaining a clear understanding and appreciation of what’s important to the person on the receiving end of the phone call, e-mail, business proposal, story pitch, meeting request or direct message. Sorry for the sarcasm (I know, it’s a bad habit). I know you think I’m playing, but I’m totally serious. If anything, this trend is picking up steam, especially via social media–including “I would love to…” requests as totally irrelevant comments on my Instagram pics! That’s just lazy! Bluntly declaring what would be great for you when making a request or demand of another person, as opposed to first inquiring as to what would be of value to that person, is the very definition of self-serving, as well as shallow and unprofessional. It’s an off-putting and even offensive way to make a request of anyone with whom you do not already enjoy a close and long-standing relationship. (And even then.) At the end of the day, who cares what you’d love? Instead of leading with what’s in it for you, emphasize your sincere desire to learn and understand the needs and goals of others, aligning any requests you make with helping them to achieve them. This simple shift in focus will make your communications more effective, increase receptivity to your business requests, and enhance your relationships in general. For example, when attempting to secure a meeting with a prospective client, they already know why you would “love” to get on their calendar–you want their business. Your stating as much is both belaboring the obvious and irrelevant outside of the context of their problems, goals and opportunities. What they need to hear from you is why they should want the meeting. What’s in it for them, remember? Similarly, and closer to home, do you know how many thousands of times a week we hear from people and their media reps about how wonderful it would be for them to be featured by Black Enterprise, whether in the magazine, as event speakers, on our television shows and/or on our web site? (Don’t even get me started on cover story requests.) You increase your chances of being included exponentially when you focus on understanding the kinds of content and events we do, and how and why they help us to meet our mission–which is to help our magazine readers, web visitors, TV viewers and event attendees to achieve their goals. At Black Enterprise, it’s not about what’s in it for you, or even what’s in it for us, but what’s in it for them. So here’s my advice: Instead of opening with I would love… when making business requests, try going with something like How might I interest you in….? Never forget: It’s not enough to tell people what you’d love. 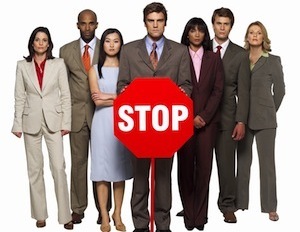 You must offer them a compelling reason to want that at least as much as you do. And if I were you, I’d lead with the latter first when making business requests. Otherwise, if you’re going to declare what you’d love, it’d better be followed by what you’d be thrilled to do for them, not by what would be just wonderful for them to do for you. Black Enterprise Executive Editor-At-Large Alfred Edmond Jr. is an award-winning business and financial journalist, media executive, entrepreneurship expert, Â personal growth/relationships coach, and co-founder of Grown Zone, a multimedia initiative focused on personal growth and healthy decision-making. This blog is dedicated to his thoughts about money, entrepreneurship, leadership and mentorship. 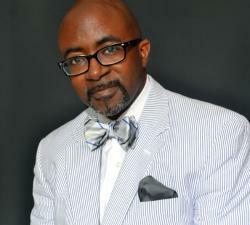 Follow him on Twitter at @AlfredEdmondJr. Alfred Edmond Jr. is SVP/Editor-at-large of BLACK ENTERPRISE. He is a content leader, brand representative and expert resource for all media platforms under the BLACK ENTERPRISE brand, including the web site, social media and live networking events. From 2008 through 2010, Edmond was SVP/Editor-in-chief of BlackEnterprise.com, helping to lead the transition of BLACK ENTERPRISE from single-magazine publisher to digital-first multimedia company. From 1995 through 2008, Edmond was chief editor of BLACK ENTERPRISE magazine. He has also hosted The Urban Business Roundtable on WVON-AM in Chicago and Money Matters, a syndicated radio feature of American Urban Radio Networks. Edmond is also an entrepreneur, speaker, author and amateur natural bodybuilding competitor.